You can't not laugh through this one. The lyrics are so much fun... 'my thighs kinda jiggle when I giggle or wiggle'. Sam Tsui and Casey Breves sing Ed Sheeran's 'Thinking Out Loud' and Sam Smith's 'I'm Not The Only One' simultaneously and it sounds amazing. Watching Norway's curling team putting pants on without hands and sliding on ice is surprisingly entertaining. 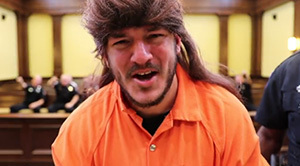 The Corinth Police Department in Mississippi stepped up to the plate and hit their lip sync challenge out of the park. 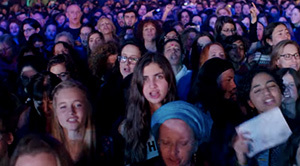 Over 3,000 men and women perform 'One Day' by Matisyahu in three different languages. Let's keep spreading love and joy though music! John and Sinead Kerr, a brother and sister ice skating duo from Scotland, performed a unique routine at the World Figure Skating Championships set to the popular New Year's tune, 'Auld Lang Syne', which is originally a Scots poem written in 1788. Small Town High School Student Dances To Michael Jackson At Talent Show... And Absolutely Crushes It! You might think Michael Jackson has returned from the dead and stolen his body after watching this high school student's amazing Billy Jean performance. ABCDEF Cookie Monster! 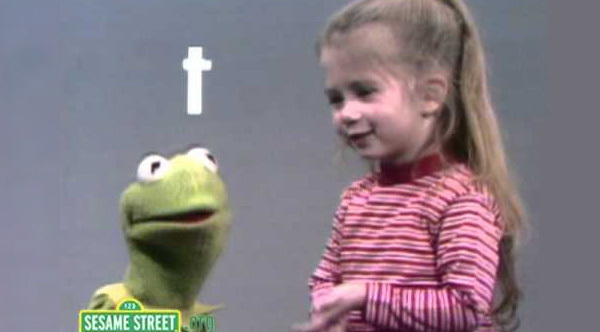 But then at the very end, she drops the three word bomb on Kermit. No one could resist that. If movies were written by our children and acted out by adults. They asked a couple kids to pretend they were at a fast food place. This is what they came up with. Ever heard a goat baah like a human? It is not a voice over. 100% real. 100% hilarious. The McGillicuddys made a fun video using those Coke cans with names on them to make a big announcement to their friends and family. 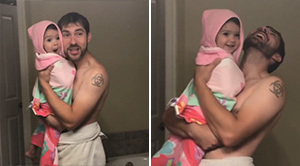 A little girl lip syncs with Dad to 'Girls Like You' by Maroon 5. 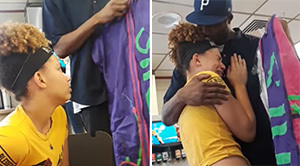 A father working three jobs bought his daughter her dream dress for her eighth-grade dance, after initially telling her he could not afford it. He surprised her in a video that's being watched by thousands of people. There is no greater love in elephant society than the maternal kind. It is one of the most touching aspects of elephant social customs. For their vacation, this man got his girlfriend a custom swimsuit of his face and it is both hilarious and disturbing. I can only imagine that the company that printed it died laughing. This is the funniest one I have seen yet of this awkward series. The two together are absolutely hilarious. They set up a hidden camera to catch Lucy in the act. Needless to say, this is one smart, innovative pooch. Judy Garland delivers a stunning performance on the final taped episode of her variety show.